Abbey Transmissions offer a highly diverse range of reconditioned commercial and passenger vehicle differentials. To ensure we meet the requirements of our existing and potential customers we keep many of these in stock, available for delivery next day throughout the UK. Abbey Transmissions name is synonymous throughout our industry with excellent workmanship. Our valued staff have decades of invaluable experience. Our reconditioned gearboxes and axles have very low failure rates and are all supplied with a twelve month unlimited mileage warranty for you and your customers piece of mind. 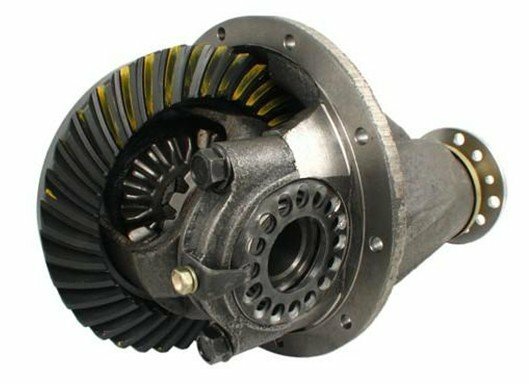 Whether you need a passenger vehicle transmission or a commercial gearbox or axle, Abbey Transmissions keeps a vast stock encompassing all Vehicle Manufacturers. We can arrange guaranteed next day delivery to the UK for our gearboxes and axles from stock, minimising your vehicle downtime, getting you or your customer back on the road as soon as possible.